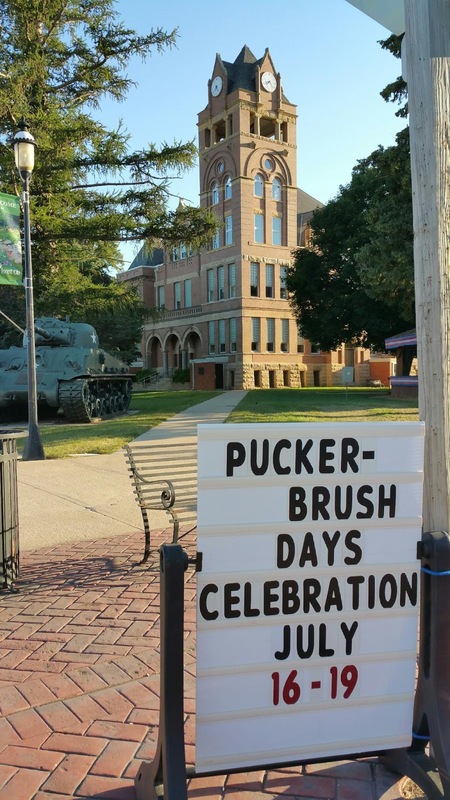 We did not see the Pucker Brush Days Festival. When we got there at 6PM everything was closed and there were no people. 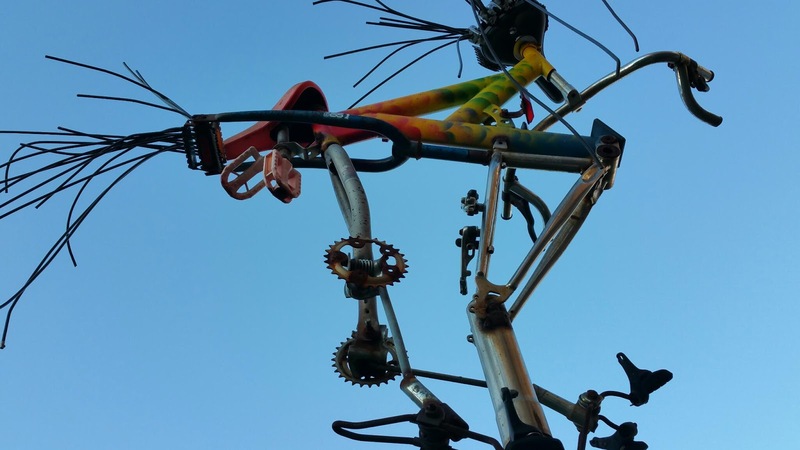 They did have some cool bicycle art on display. Forest City is a small Iowa town of about 4200 people. 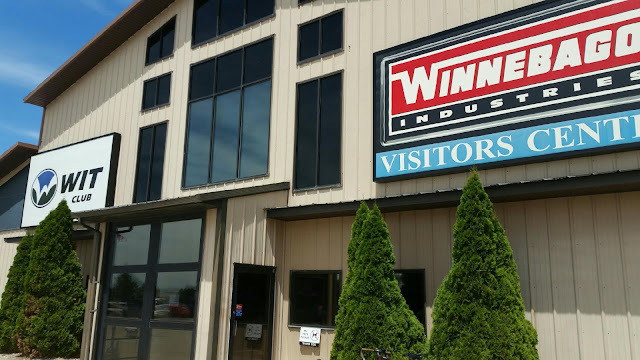 Most of the people work at the Winnebago Factory located in town. This weekend was the PBD Festival and Tuesday starts the WIT Grand National Rally. It lasts for two weeks and you have to be a member of WIT to participate. WIT stands for Winnebago Itasca Travelers. We are staying at Pannel Park Campground for the night. We plan on taking the Winnebago Factory Tour tomorrow. We are interested in buying a Winnebago for our next RV. They have a dealership here in town, Lichtsinn, so we can test drive the various models. Lichtsinn is the number one RV dealer in Iowa. We went to a winery today and did some tasting and listened to some live music. 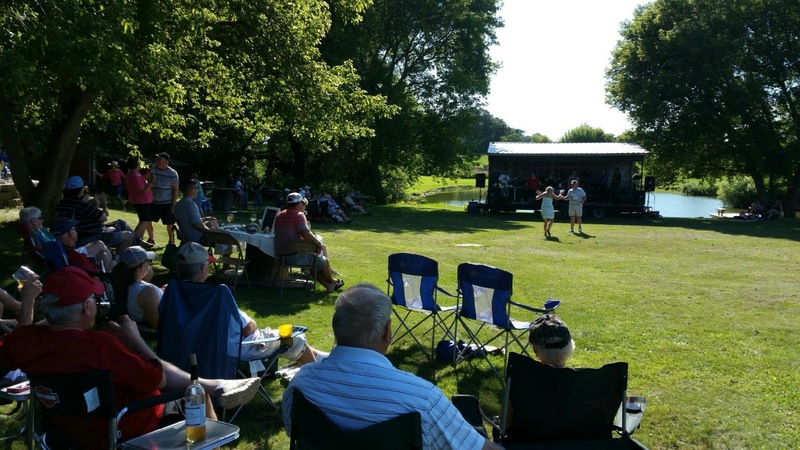 Judy bought a bottle of wine and sipped it while watching the band. Ahhh, looks like you may be doing a trade-in/buying on the road, how fun!! A. Priorities are a place to live and selling Monica.